KPMG in Moldova's Deal Advisory, M&A Tax practice offers a range of M&A tax services to corporate and private equity investors. Companies planning either mergers or acquisitions face many hurdles. How should M&As be planned, structured and carried out? What is the most suitable corporate vehicle? How can non-core components of the merged business be divested? All these and many more questions must be answered by companies preparing an M&A transaction. Combine all of these with the likelihood of cross border elements and it becomes clear that high quality, authoritative advice is not only desirable, but essential. 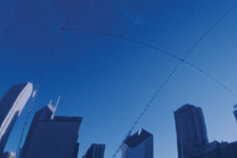 KPMG's Deal Advisory, M&A Tax practice offers a range of M&A tax services to corporate and private equity investors to help with domestic and cross-border transactions. Structuring an acquisition or disposal - advice on the tax consequences of individual acquisitions, joint ventures and divestments in order to help design tax-efficient deal structures. Tax modelling - assistance in forecasting post-deal tax liabilities in business models. Vendor assistance - Preparation of vendor side documentation and advice on the tax implications of the sale of a business, including pre-deal reorganisation measures and settlement of historic tax risks. Using KPMG’s global network and experienced professionals across different service areas, we can help companies understand processes, avoid pitfalls and seize opportunities for deals. We understand the practical impact of tax developments from one country to the next and when we spot opportunities, we know how to act on them to benefit member firms’ clients and their stakeholders. Companies with global ambitions cannot afford to ignore the opportunities for possible growth offered by mergers, acquisitions and disposals. But if these transactions are to create real value, it is important that the tax implications of each deal are dealt with from the outset. This is especially important in cross-border deals, where differing regulations and business cultures need to be reconciled in order to reveal the risks and opportunities of a transaction. In a highly professional and competitive deal environment, many transactions are organised as structured tenders. Only the strongest bidder will win. When strategic investors compete with private equity for a few attractive targets offered, understanding how a deal is done becomes critical. To assess the real value of a transaction you need to understand the historical tax risks associated with an enterprise for sale. To win a tender, you may also need to evaluate and quantify upside potential. In many cases, tax can make a difference. Running an M&A process means coordinating many different work-streams within a very strict timeline. In the tendering processes, there is little flexibility surrounding bid deadlines. Deadlines are short to keep management attention to an acceptable minimum. Valuable time can be lost just trying to organise your deal team. Tax due diligence, international acquisition structuring and modelling tax in the acquisition target's business forecast should be addressed immediately. With a strong focus on transactions with a private equity background, KPMG’s professionals are commercially minded and experienced in handling deals. They know how to identify and advise on the material tax exposures in a transaction and to develop deal structures that appropriately address the tax implications. Working on transactions day-by-day, they are process-driven and understand the mechanics of acquisitions and disposals in a competitive environment. A roundtable event on planned M&A activity and IPO activity for FY2015.